A Nazi-hunting group, the Simon Wiesenthal Center, in its annual report has lowered the ranking of US in its efforts bring war criminals to justice. It also criticized “lack of political will” in Eastern Europe to punish Nazi criminals. The ranking of US Nazi-hunting efforts was lowered for the first time, and in part because the US has taken no action against Michael Karkoc, a suspected 96-year old Nazi SS-led Ukrainian Self Defense Legion commander, said Efraim Zuroff, director of the center’s Israel office, AP reports. An investigation into Karkoc’s alleged war crimes was opened by German prosecutors back in 2013 after AP published a story revealing that Karkoc commanded a unit accused of carrying out brutal atrocities against civilians. Karkoc then concealed his wartime record in order to receive US citizenship in 1949. Since then Karkoc worked as a carpenter in Minneapolis and was never brought to justice for war crimes. The group also noted that “lack of political will,” particularly in “post-Communist Eastern Europe,” continues to be the major obstacle to achieving justice. “The campaign led by the Baltic countries to distort the history of the Holocaust and obtain official recognition that the crimes of the Communists are equal to those of the Nazis is another major obstacle to the prosecution of those responsible for the crimes of the Shoa [Holocaust],” the report said. Zuroff believes that although many think it’s too late to bring Nazi war criminals to justice, “the figures clearly prove otherwise”, and they are trying to ensure that at least a few of the Second World War criminals will be brought to trial during the coming years. 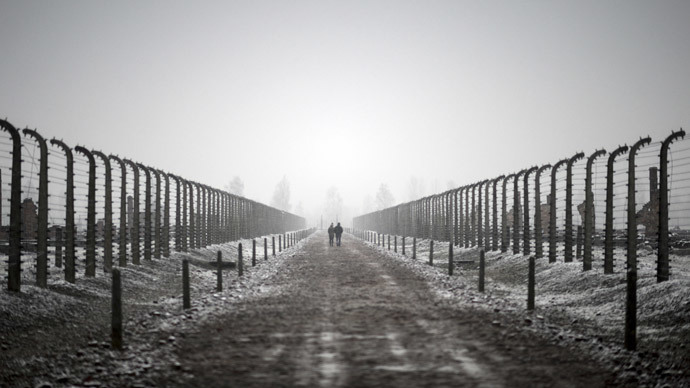 “During the past 14 years, at least 102 convictions against Nazi war criminals have been obtained, at least 98 new indictments have been filed, and well over 3,500 new investigations have been initiated,” he said. The Simon Wiesenthal Center praised Germany for easing the terms of prosecuting former Nazis. If earlier prosecutors could launch an inquiry only in the cases of specific involvement or atrocities, now they are allowed to consider suspect anyone who served in a death camp or a mobile killing squad. Over 100,000 German Nazi soldiers and their collaborators have been accused of war crimes since the Nuremberg Trials in 1945 and 1946. Around half of 13,000 who have been found guilty were sentenced. Zuroff estimates that around 2 percent of war criminals could still be alive and well enough to face trials.